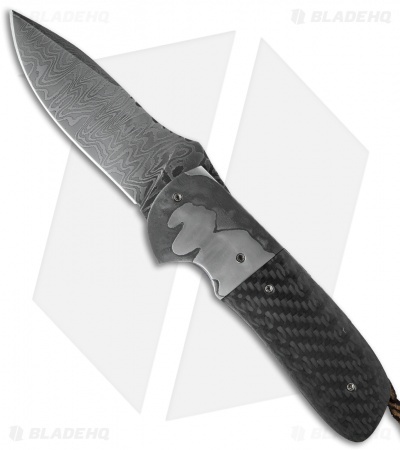 This Viper Flipper #3 is a fine crafted knife from Burr Oak Knives. It features a 160 layer random Damascus steel blade with a file worked spine and convex grinds. 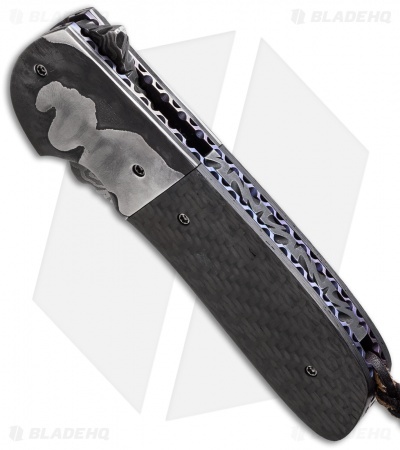 Carbon fiber scales and 5 layer random Damascus bolsters are fastened to the titanium liner lock frame. The liners and steel backspacer also display fine decorative file work. 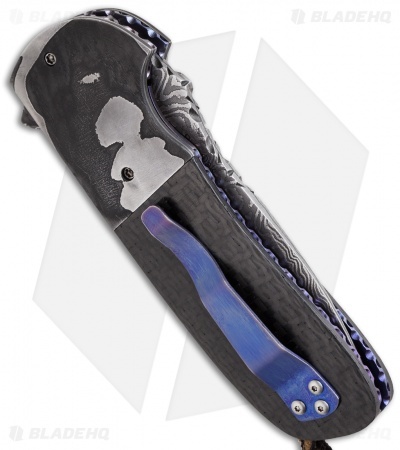 The titanium pocket clip and liners are violet anodized. This knife comes with a signed certificate of authenticity, dated 4/2/15.